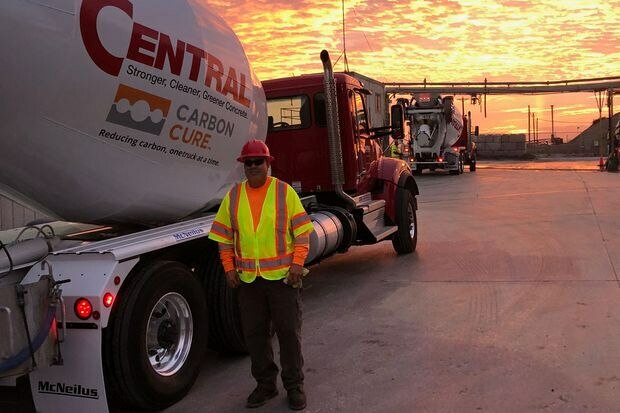 In August, CarbonCure announced an expanded partnership with San Francisco-based Central Concrete Supply Co., Inc., a sustainability-focused U.S. concrete company. Since it was founded 11 years ago, Halifax-based CarbonCure Technologies Inc. has pursued collaborations with investors, clients and others to accelerate the adoption of its environmentally friendly approach to manufacturing concrete. Increasingly active in the United States, the company enlists customers and suppliers as strategic allies to market a technology that reduces the carbon footprint of concrete, the most abundant man-made material in the world and widely used in residential and commercial construction. Some small and medium-size Canadian companies see value in working with others – to mutual benefit – to bring an innovation to commercial-scale production and to export markets. A reliance on partnerships also holds true for Anomera Inc., a Montreal-based advanced materials startup, that credits some of its progress to date with working with a global research powerhouse. The company is one of eight startups currently housed in the advanced materials hub of Xerox Research Centre of Canada, which provides access to high-tech labs, scientists, small-scale production facilities and other costly infrastructure typically unavailable to a fledgling company. The company was founded by four McGill University research chemists who developed a way to extract from cellulose pulp a biodegradable, natural substitute for environmentally damaging plastic microbeads and silicates in cosmetics. In doing so, says Mr. Fields, the researchers found that the precursor building block of the microbead provided substantial benefits to several industries, including cement, paints, composites and agriculture. Beyond access to expertise and small-scale production facilities, Xerox “gave us good credibility,” says Mr. Fields, citing introductions to top North American paint manufacturers, potential customers. Paul Smith, vice-president at Xerox Corp. and director of the Xerox Research Centre of Canada, says this country has an impressive record of initiating startups. “What we are missing is that ability to grow those startups,” he says. Young companies in the innovation hub are at different stages of growth and needs, says Patricia Hawkins, Xerox director of strategic partnerships at the innovation hub. Like other young companies, Anomera pursues alliances on several fronts. Mr. Fields describes Rayonier Advanced Materials, a Florida-based global supplier of cellulose specialty products, as “our strategic partner,” with the two companies in discussion about a possible production plant in North America. Currently, Anomera ships its product to several U.S. states for cosmetics and industrial applications. Partnerships are not without risk, though, cautions CarbonCure’s Mr. Niven. By definition, a startup operates on narrow margins and short timelines compared with the longer decision-making timetable of an established company. In a successful partnership, he says, both parties identify shared interests. In CarbonCure’s case, growing commercial interest in “green” manufactured concrete is tied to heightened concern over global climate change, with cement accounting for about 7 per cent of human-made global greenhouse emissions, according to the International Energy Agency. The company’s technology involves injecting recycled carbon dioxide (CO2) into the concrete-mixing process, with the CO2 converted into a mineral and permanently trapped in the concrete. The company says its process improves the concrete’s strength – a key trait for the building and construction industry – and in a cost-effective, environmentally friendly way. To date, CarbonCure has retrofitted 108 concrete manufacturing plants – 21 in Canada and the rest in the United States – with imminent plans to expand beyond North America. In August, CarbonCure announced an expanded partnership with San Francisco-based Central Concrete Supply Co., Inc., a sustainability-focused U.S. concrete company that tested the green technology over the past year before committing to an initial retrofit of seven manufacturing plants. Central Concrete is more than a customer. Last summer, officials from the two companies conducted a marketing blitz in the San Francisco Bay area, talking to architects, civil engineers and others about the properties and financial benefits of a greener approach to concrete manufacturing. Over four days, officials from the two companies met with 200 contacts to discuss the technology. Just as with its customers, CarbonCure has forged equally close relationships with major U.S. suppliers of carbon dioxide. Earlier this year, CarbonCure announced a “strategic commercial relationship” with Airgas, a subsidiary of Air Liquide that sells CO2 in the U.S. Gulf Coast region. CarbonCure’s retrofit of conventional concrete plants opens up new markets for Airgas sales of CO2. “This [concrete] market is an enormous market they are not selling into and the opportunity to have a head start on that can change the course of a business as big as Air Liquide,” says Mr. Niven. Both companies are engaged in joint marketing and sales.